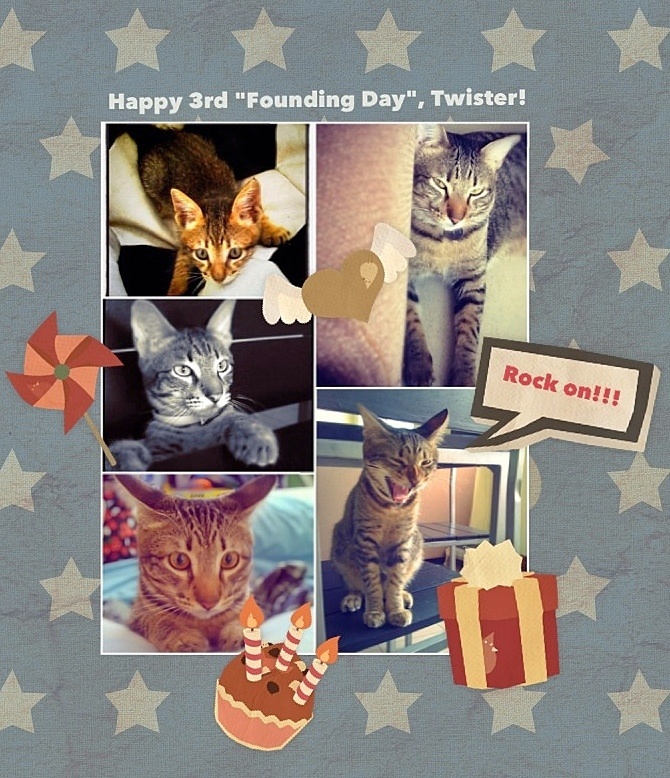 Happy 3rd “Founding Day” to my one and only grumpy darling, Twister! He’s my “first born”, my original lucky cat, the one who transformed me into a Cat Mama, who inspired me to make pet portraits, Meow shirts, and help other felines like him. You are purrrfect to me, Mr. Sungit! Purrrrr on!! !